we are total foodies. for us, fun equals trying out new restaurants when they come to KC and, if they make the cut, repeating as necessary. we definitely have a list of local favorites (you can see those here) but we continue to add more to the list as new spots emerge and the olds, solidify their status as repeat offenders. so when i ventured out on tuesday night to an area we frequent, it wasn't for the usual suspect. blue koi is my personal favorite in town, but this time i was headed next door to a spot, that somehow in all our visits to the block, we had failed to try or even notice. thomas restaurant folks. i mean, where have we been? there are not enough rooftop patios in kc - let's get that out of the way first. 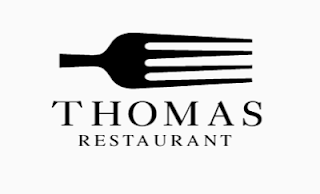 thomas has a fantastic one along with an impressive menu and creative bar list. the ambiance is perfect and the piano man - a must see/hear. tucked away in the northwest corner of the bar, don't discount his ability to completely steal the show while belting out everything from jay-z to james taylor. a.maz.ing. it's rare that in a group as large as ours, no one can stop talking about how delicious their drink is or how the meal is a masterpiece. it was a germ-o-phobes worst fear as forks met new plates and drinks were passed around for sampling, but i was willing to overlook my neurosis in the spirit of fine dining and good fun. although evan could only join us via phone-cam from arkansas, everyone who did make it out can attest: this is an absolute must-try. i can't wait to take evan there so he can see for himself what we are all raving about. thomas lines up with the 39th street parade of local favorites at: 1815 W. 39th, half of a block east of state line rd, next to blue koi. you should go. and request a prince song. never heard of this place, but totally want to try it now! !